The chiropractic approach is to use specific spinal adjustments, often combined with corrective exercises. 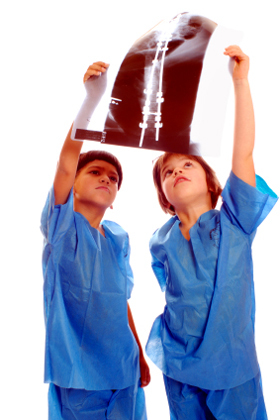 If detected early enough, chiropractic doctors have had excellent success with scoliosis cases. Early detection and chiropractic correction is important for optimum results. Do you know someone who could benefit from a chiropractic examination?